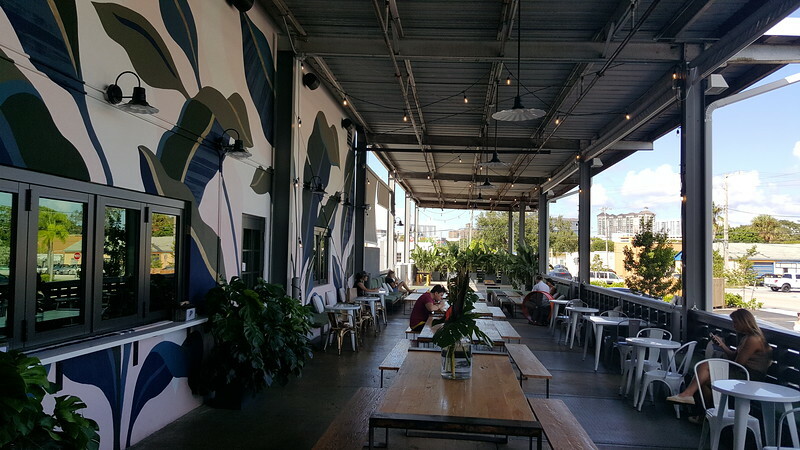 A collection of aging nondescript warehouses that once served as the terminus for fruit and vegetable barges arriving from the Everglades to access West Palm Beach’s Municipal Market, now make up one of the city’s hottest destinations. Where most would have viewed this property as tear down worthy, Palm Beach-based real estate investment firm Johnstone Capital Partners LLC. saw authentic economic opportunity, acquiring the 6-acre property and 85,000 square feet of industrial buildings in October 2015 for $850,000. Taking advantage of national trends related to old industrial spaces being repurposed into entertainment centers and arts communities, Capital Partners began the process of repurposing the buildings into a unique destination called The District for creative concepts, local makers and craftsman. At the center of the development is a former Seaboard Coast Line spur that once provided rail access to the rear of several warehouses built between 1925 and 1968. 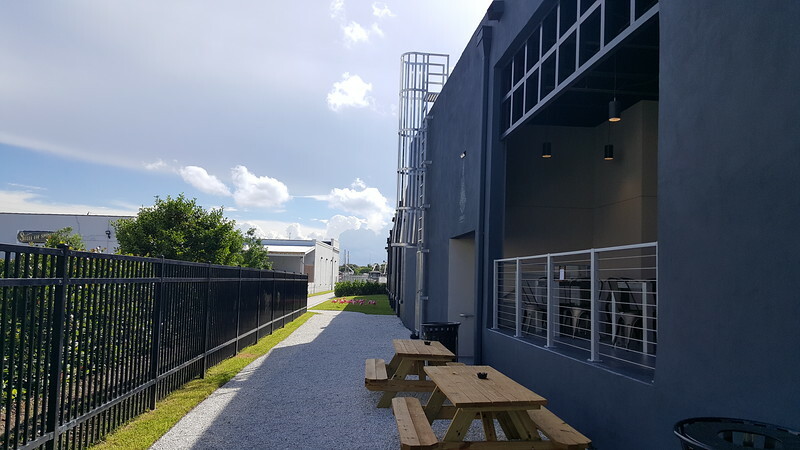 Working in conjunction with the City of West Palm Beach, this historic rail spur has been preserved and reimagined to pay homage to the district’s industrial roots, while serving as a pedestrian-centric “spine” and linear central greenway connecting the community in a unique way. 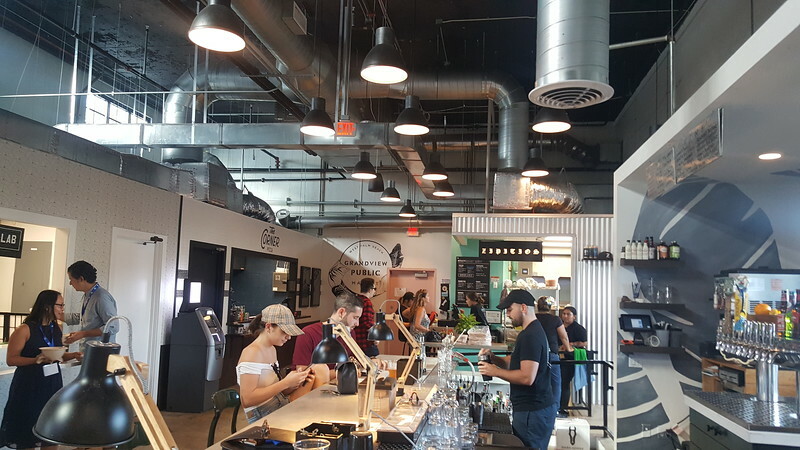 An example of clustering complementing uses within a compact setting, the Warehouse District is anchored by the Grandview Public Market, a 14,000 square foot food hall with 12 vendors, indoor and outdoor event space. 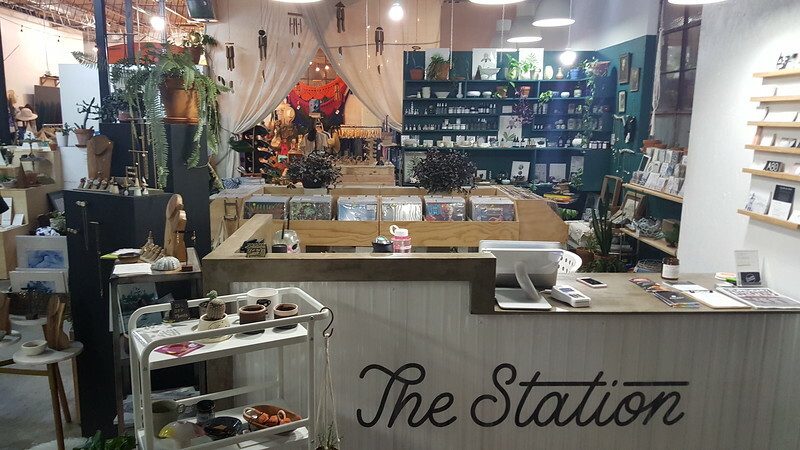 A second anchor, the Elizabeth Avenue Station, is a pop-up retail marketplace and creative-use facility that includes an urban garden that was formerly a loading dock. Other tenants include the city’s first craft brewery, Steamhorse Brewing, Black Coral Rum Distillery, and a boutique squash club featuring both singles and doubles courts. Future plans could include the construction of multi-family residential on the south end of the property. 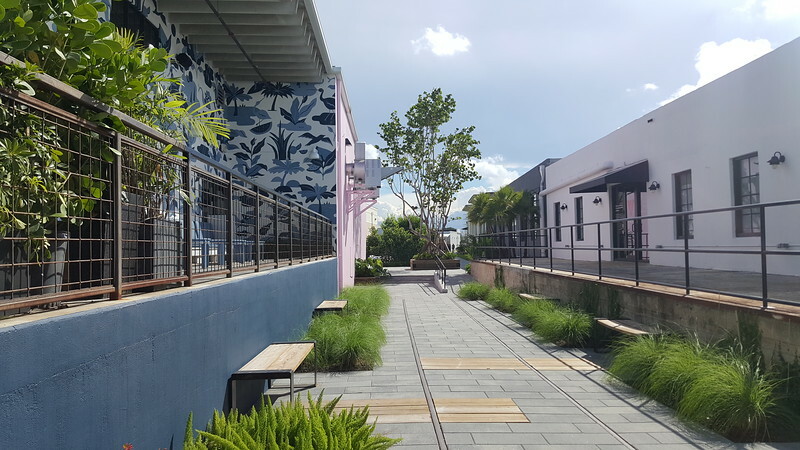 The key ingredient of the Warehouse District is the combination of preserving and utilization of spaces with original character and authenticity to house popular 21st century retailing and dining trends. For communities looking to add life in distressed areas of town, the Warehouse District serves as an example of doing more with less.